The present work evaluates the anti-Giardia activity of phenolic-rich essential oils obtained from Thymbra capitata, Origanum virens, Thymus zygis subsp. sylvestris chemotype thymol, and Lippia graveolens aromatic plants. The effects were evaluated on parasite growth, cell viability adherence, and morphology. The tested essential oils inhibited the growth of Giardia lamblia. T. capitata essential oil is the most active followed by O. virens, T. zygis subsp. sylvestris, and L. graveolens oils. 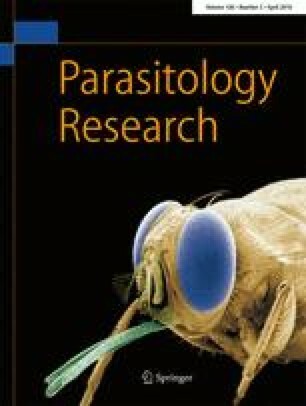 The tested essential oils at IC50 (71–257) μg/ml inhibited parasite adherence (p < 0.001) since the first hour of incubation and were able to kill almost 50% of the parasites population in a time-dependent manner. The main ultrastructural alterations promoted by essential oils were deformations in typical trophozoite appearance, often roundly shape, irregular dorsal and ventral surface, presence of membrane blebs, electrodense precipitates in cytoplasm and nuclei, and internalization of flagella and ventral disc. Our data suggest that essential oils induced cell death probably by processes associated to the loss of osmoregulation caused by plasmatic membrane alterations. Experiments revealed that the essential oils did not present cytotoxic effects in mammalian cells. In conclusion, T. capitata, O. virens, T. zygis subsp. sylvestris chemotype thymol, and L. graveolens essential oils have antigiardial activity in vitro and seem to have potential for the treatment of the parasitic disease caused by the protozoan G. lamblia. Authors are grateful to Prof. Jorge Paiva for help in plant taxonomic. This work was supported by “Programa Operacional Ciência e Inovacão 2010 (POCI)/FEDER” da Fundação para a Ciência e Tecnologia.